Nigerian actress and singer Genevieve is one force to reckon with in the Nigerian movie and entertainment industry as she has recorded mega achievements for herself and the country at large. Having started her acting career as a child actress in the then popular television soap opera Ripples at the age of 8.and at 19 she was introduced into the growing Nigerian film industry with the movie “Most Wanted”.In 2010 she starred in the award-winning film Ijé: The Journey and has starred in over 80 Nollywood movies and is considered to be one of the best paid actresses in Nollywood. 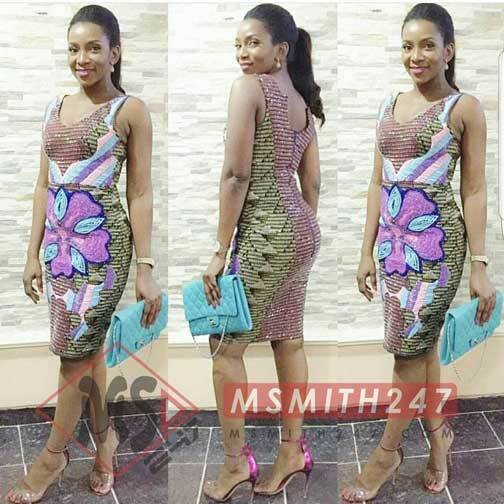 Apart from all these described ,she is really beautiful but recently ,we discovered that Genevieve Nnaji is really putting on weight and yea,in the right places. This new development has got people talking with some actually liking her new look but in some quarters the reverse is the case. In recently released photos,the changes in her body are noticeable.